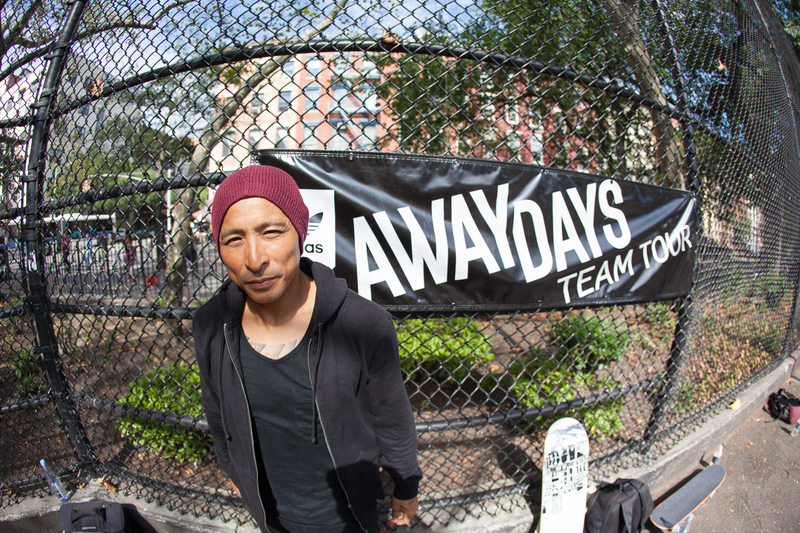 Yesterday saw the adidas Away Days Team Tour hit its first East Coast stop in NYC at Tompkins Square Park aka TF. 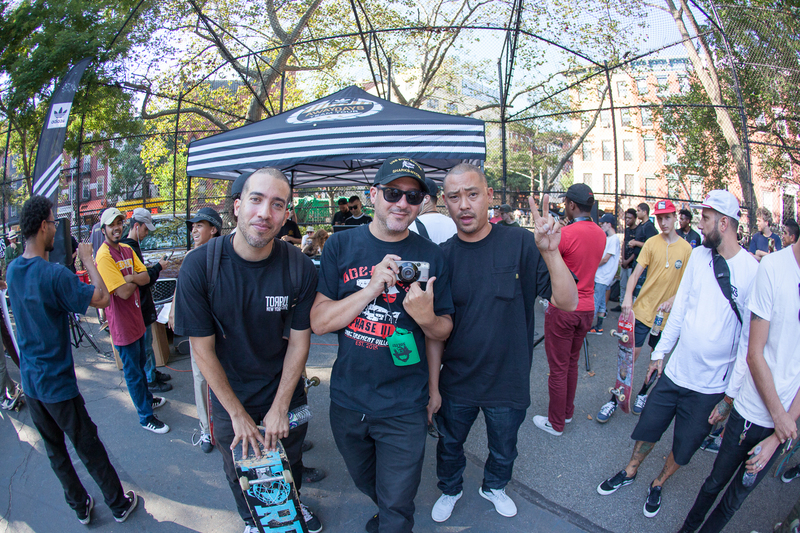 Mark Gonzales was on the scene as was Marc Johnson, Nora Vasconcellos, Mark Suciu, Nestor Judkins, Jake Donnelly, and many more of the team riders. The day was perfect and a huge crowd came out. 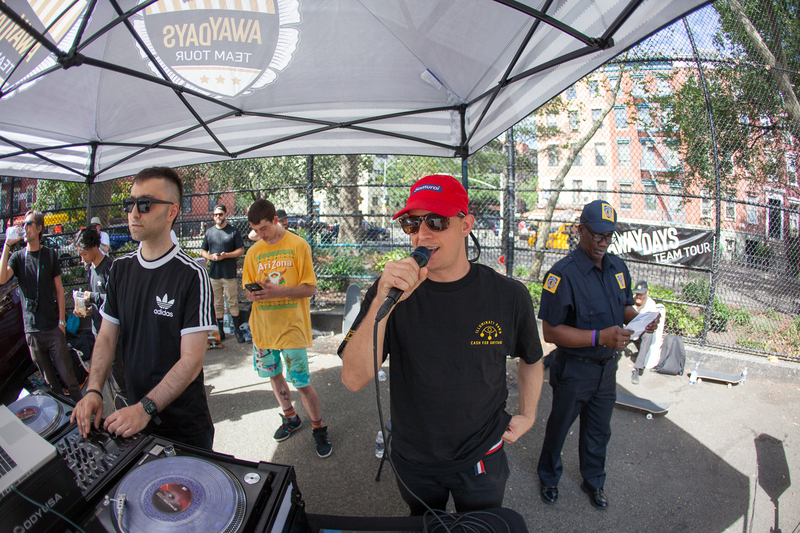 DJ Ishiek killed it on the tunes and Billy Rohan MC’d as the adidas team and NYC locals skated #bringyourbuild obstacles from Max Fish, Supreme, KCDC, NYSkateboarding, NJ Skateshop, and Labor. Check the flicks and come out to Boston tomorrow! 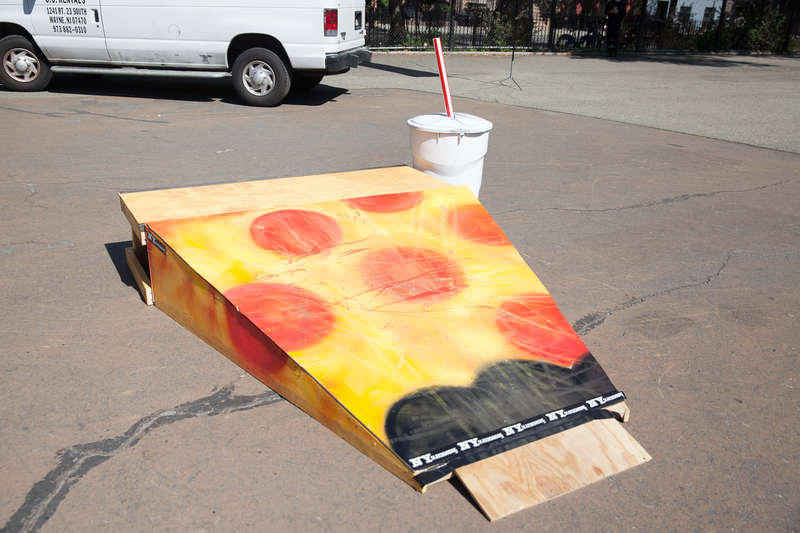 NYSkateboarding paid homage to the standard NYC skater meal. Slice and a sode. 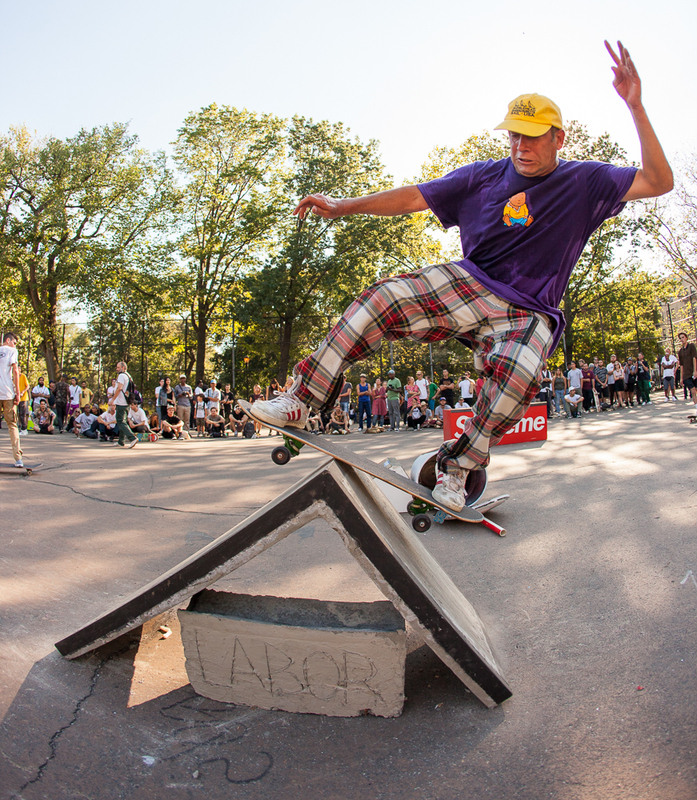 Josh Zickert, frontside rock on KCDC’s obstacle. Brandon Bonner was at TF early and had no problem with this tall backside Smith grind. 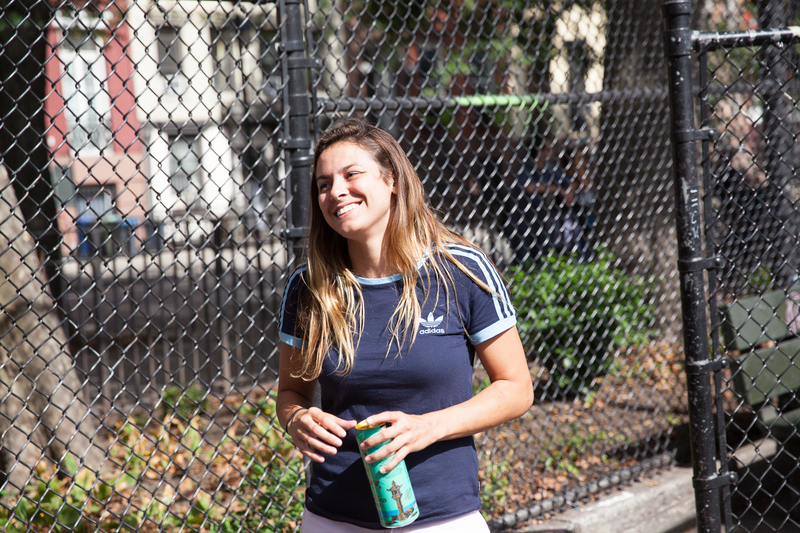 Nora Vasconcellos showing up and taking advantage of the free Arizona Iced Teas. Tyshawn’s switch ollies will leave your jaw hanging. 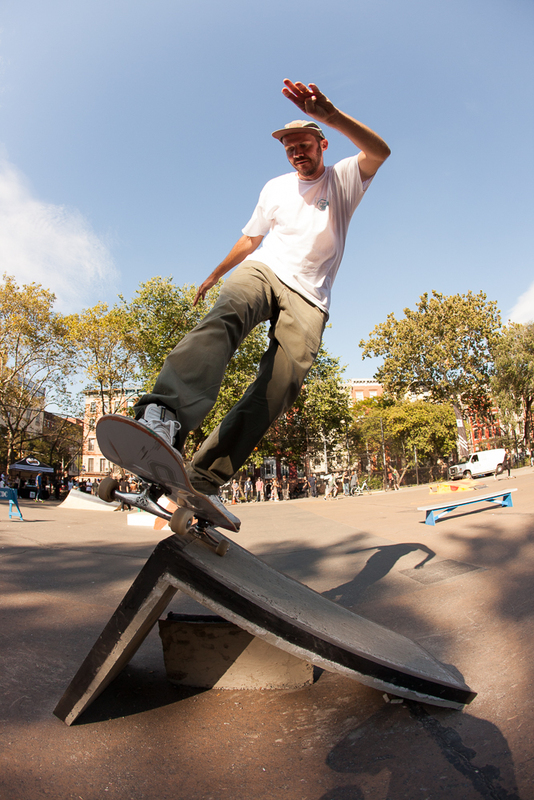 Silas Baxter-Neal, backside 180 nosegrind on NJ Skateshop’s obstacle. 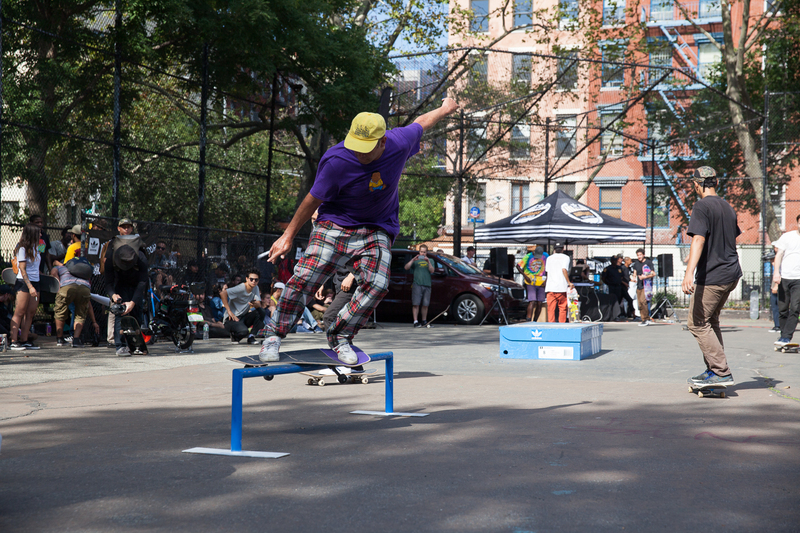 Gonz with a wavy feeble on his oversized board. Gonz signed the Away Days posters on the scene. 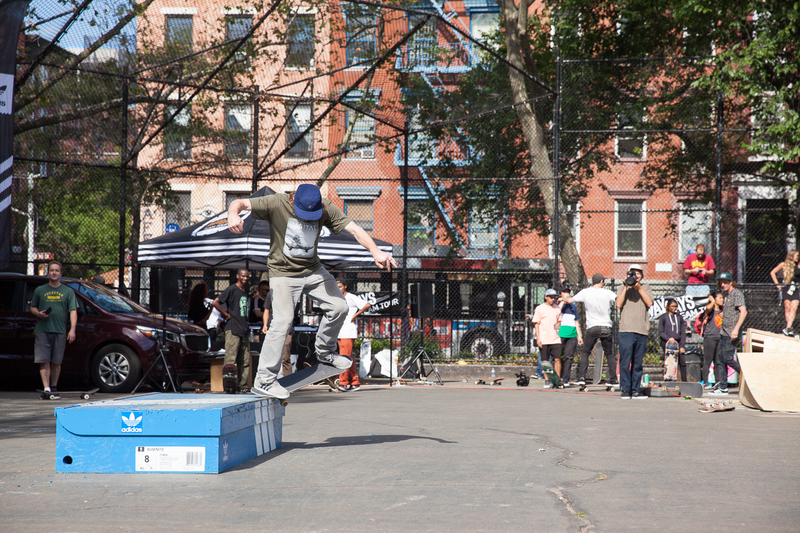 Mark Gonzales wallies up onto the Supreme box. Mark Suciu slides in with a switch crooked grind. 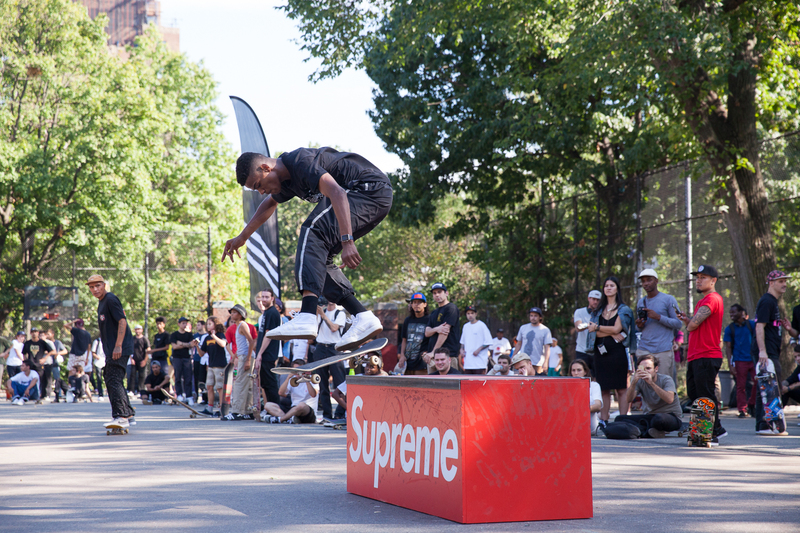 Tyshawn, kickflip backside tailslide on Supreme’s box. Tyshawn nosebluntslides for Bill Strobeck’s iPhone lens. 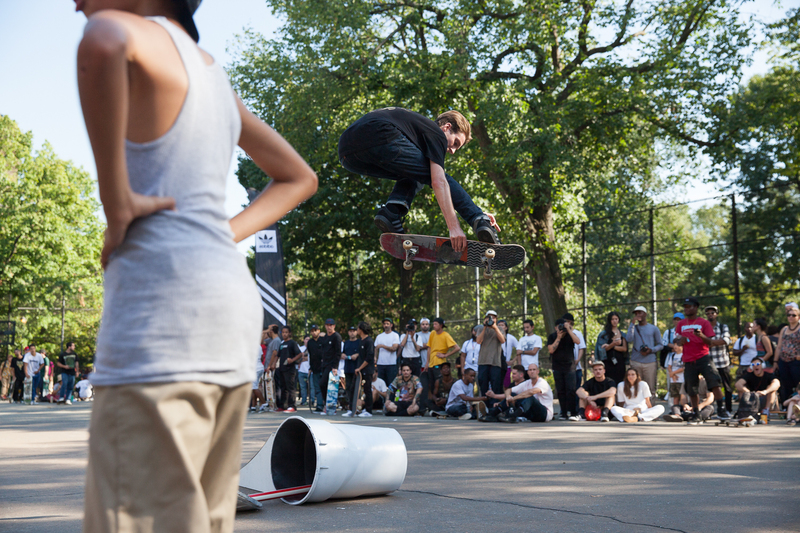 Mark Suciu mixes it up 80s jump ramp style. 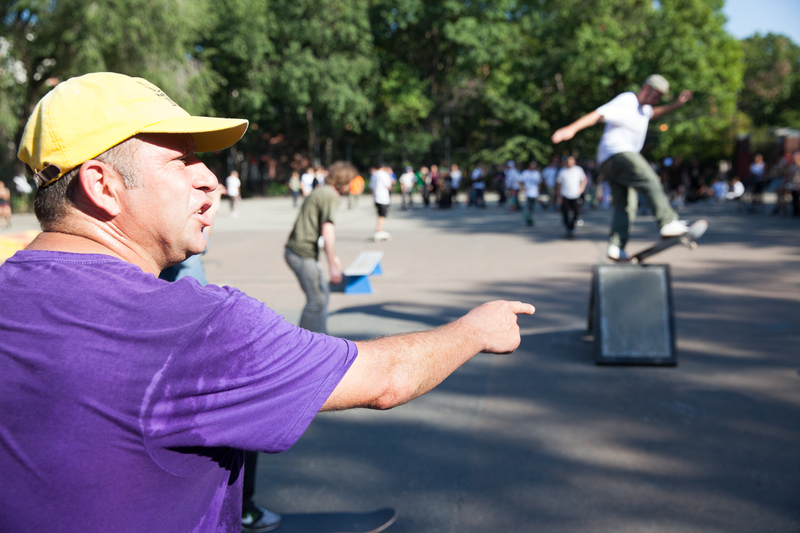 Gonz calls them as he sees them. What a beaut. Paul Shier pivot to fakie. 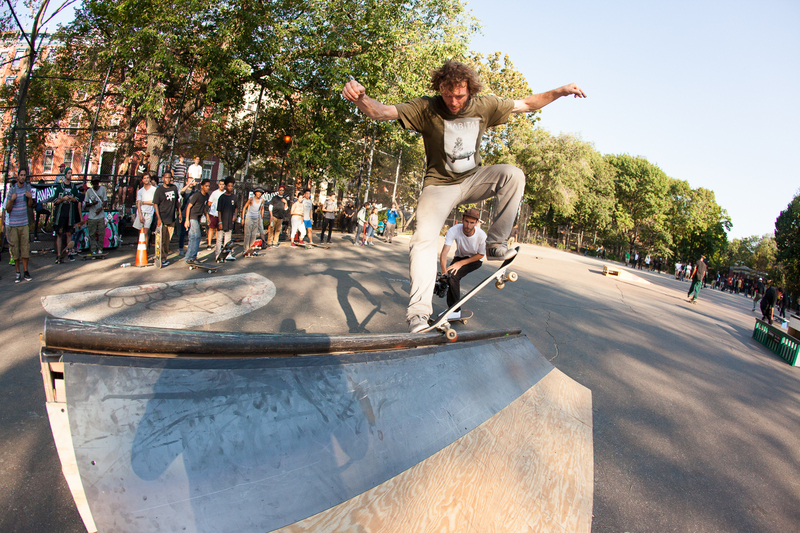 The Gonzfather, rock to fakie. Hardies Gang. Backside noseblunt-slide by Tyshawn Jones. NYC OGs, Rodney Torres, Michael Cohen, and Ray Mate. 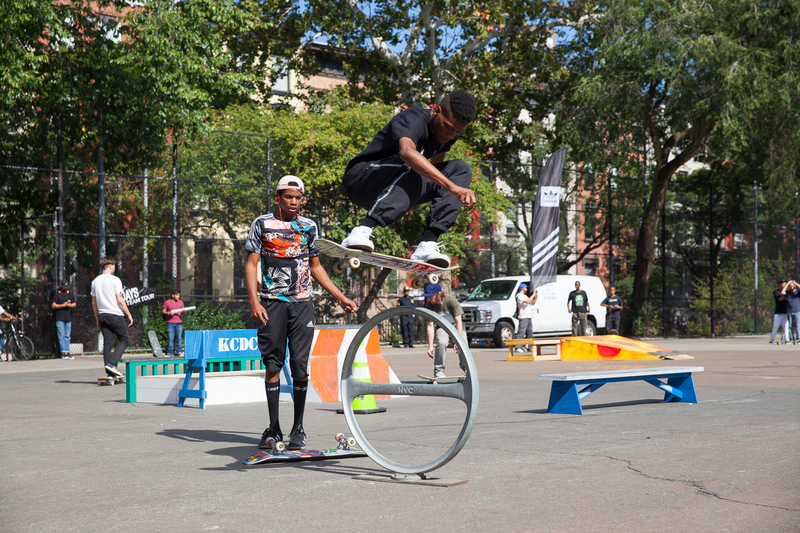 Nora Vasconcellos, Smith grind up and out on Max Fish’s obstacle. Silas Baxter-Neal gets a crooked grind pop over at the end of a line.